Healthy is HARD. Grit’s mobile markets make eating healthy easy and fun, by sourcing fresh food from local farmers and producers, bundling healthy meal solutions and offering it on the block, in your neighborhood. Imagine a farmers market and Blue Apron meet on a food truck. Grit is much more than a grocery store; we're rethinking the way food gets from the farm to the customer’s table and using AI bots and predictive analytics to reduce cost, minimize shrink, and curate a custom offering. 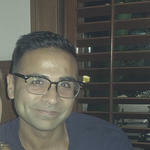 PhD from Rice University in cultural anthropology, background in branding, marketing, and retail consulting. 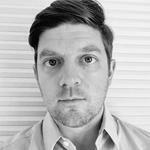 10+ years experience in grocery strategy and design consulting. MBA from Rice University, background in sales and supply chain management. 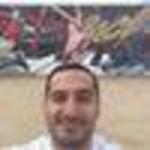 Former Peace Corps volunteer who advised entrepreneurs in Azerbaijan. I got sick, literally, from eating processed and packaged foods. Two year ago I was diagnosed with GERD. The doctor said I had to change the way I was eating if I was going to see any relief. I switched to a local and unprocessed diet but found it difficult to find what I needed in a traditional big box grocery store. I burned up a lot of time, energy, and drive seeking out what I needed to maintain my health, until I found Grit. Grit sold exactly what I needed; local, unprocessed, seasonal foods, around the corner from my apartment. I can easily walk up and knock out what usually took hours in a matter of minutes. It changed my life. I’m investing in Grit to help make my life easier but also because I know I’m not the only one that wants to save time without sacrificing health. “Grit Grocery provides a tremendous opportunity for Houstonians to access healthy food right in their neighborhoods. My Complete Communities initiative is about improving neighborhoods so that all of Houston’s residents can have access to quality services and amenities, and that includes healthy food. The neighborhood where I grew up, Acres Homes, as well as other areas of Houston, could really benefit from this type of access to local, seasonal food. I’m excited about this initiative, and I’m proud of Grit Grocery for focusing on this issue right here at home in Houston." The convenience of groceries at your door steps and the concept of getting just the ingredients for the exact recipe you are cooking for dinner makes it just so easy to do grocery shopping and plan for the next meal! From Nicaragua. Lives in Mexico City. I like corporate life but love entrepeneur life. I am a huge foodie, I love shopping local and eating local. Houston has been home to me for 20 years and counting. Been looking for a better way to shop for years and Grit fits perfectly with me. Processed foods are the cheapest and most accessible foods—they're also the worst for your body. Grocery stores today are stocked with packaged goods and foods infused with preservatives. 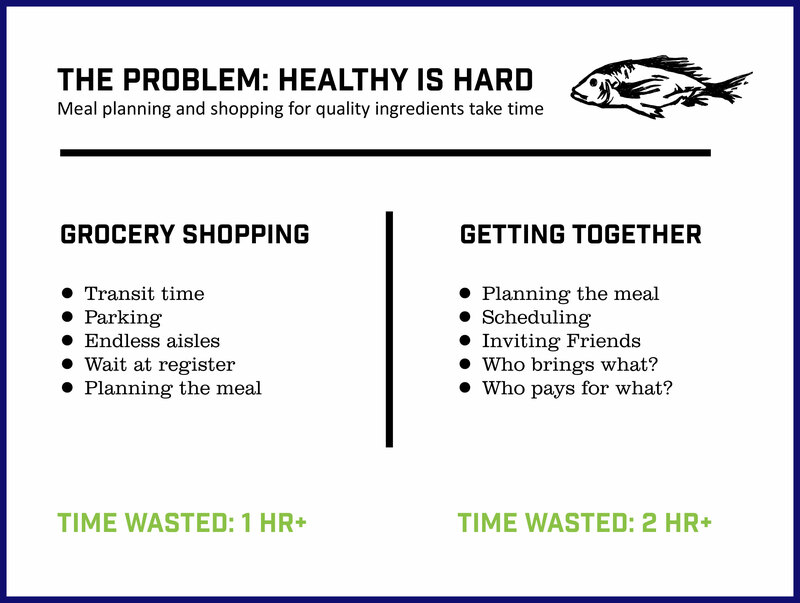 Not only are you limited to low quality choices, but hours every month are wasted on creating shopping lists, getting to and from stores, waiting in lines, and planning meals. Grit brings local, unprocessed meal kits to your neighborhood in a mobile market. 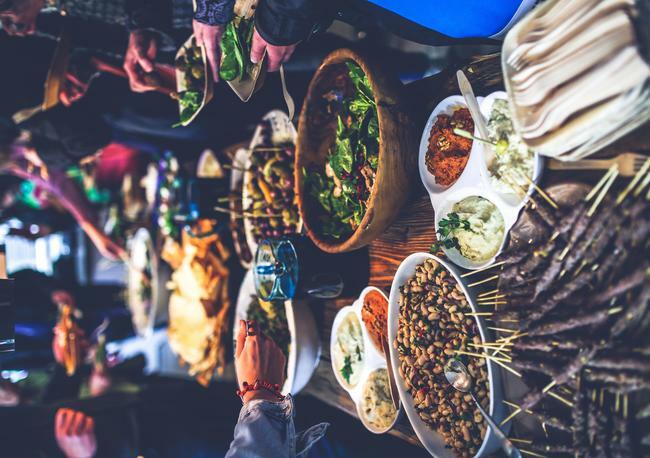 In many countries outside of the U.S., locally sourced neighborhood grocers and food stands provide healthy and delicious ingredients for home cooked meals. We are bringing that experience to you. "I walk downstairs, get my groceries, walk back up and put them away in less time than it takes to get in my car and drive." "Grit Grocery is absolutely perfect for people who are looking for a one stop shop that offers delicious and quick meals. " Not only do you save time and energy, but shopping and cooking become social and exciting. We're building on the proven model of meal kit delivery. Our merchant personally picks up fresh ingredients every morning, so he or she can tell you exactly where they came from. At our trucks, you can also ask our merchant or your own neighbors for meal suggestions, cooking tips, or just a meaningful conversation! 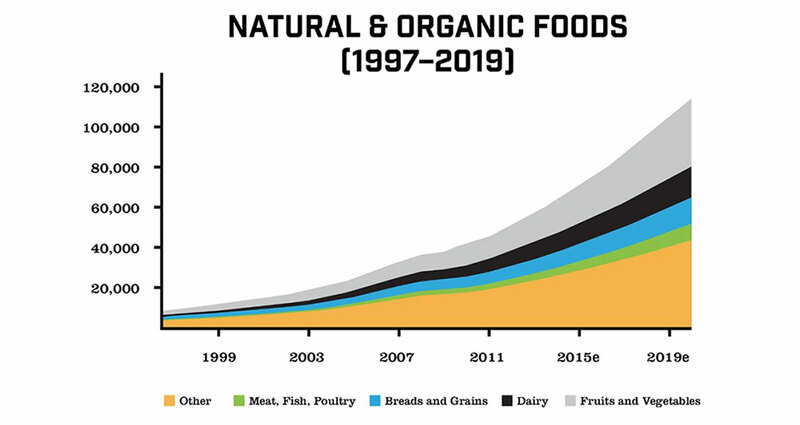 Currently, 82% of the country and 87% of Texas purchase organic foods, and we plan to capitalize on this massive market. Profit margins for natural and organic stores are also significantly higher than those of conventional groceries (6% vs 1-2%). Mad at big food companies for sacrificing our health to increase their wealth. 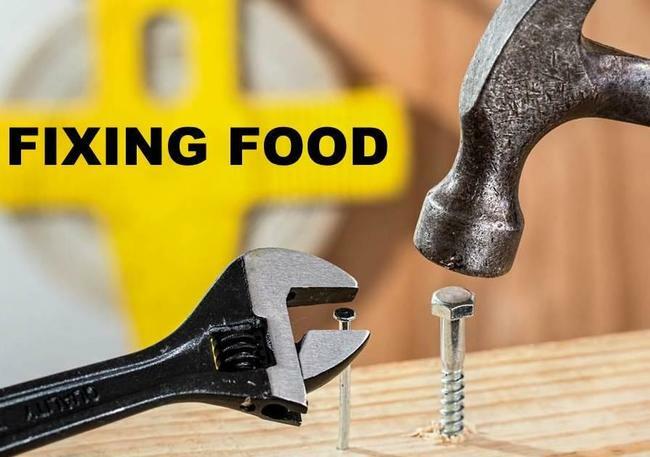 Mad at big food for replacing real food with formulas. Mad at big box grocery for selling processed foods but masquerading as purveyors of progress. Mad that our bread is made to last long on the shelf, not to ensure good health. Grit’s about getting mad, mad enough to inspire action. This is our action. This is our chance to get mad together and create change. Together we can take back our health, reclaim our quality of life, and reconnect with the food we eat. 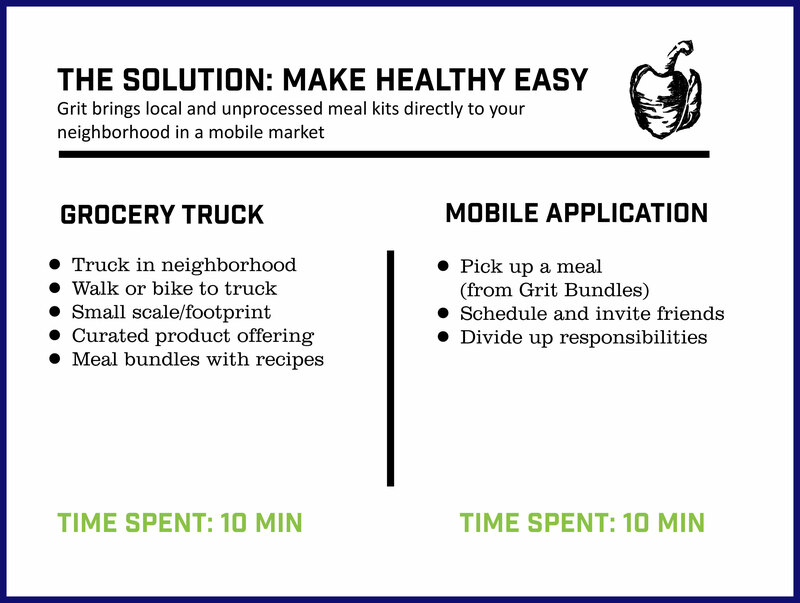 To assemble a fleet of mobile Grit Grocery markets that make eating healthy easier for people across the US. Grocery shopping outside the US looks very different - neighborhood bakers and butchers across the street from fruit stands and flower shops. Small, street-side markets that help communities build stronger bonds and reconnect with their food. We want to bring that experience to you. Within the next five years, we plan to license our model and have fleets in 10+ Sun Belt cities. Living healthy is hard. Shopping and meal planning take time. We're trying to make it easy by bringing meal bundles into neighborhoods through a mobile market. 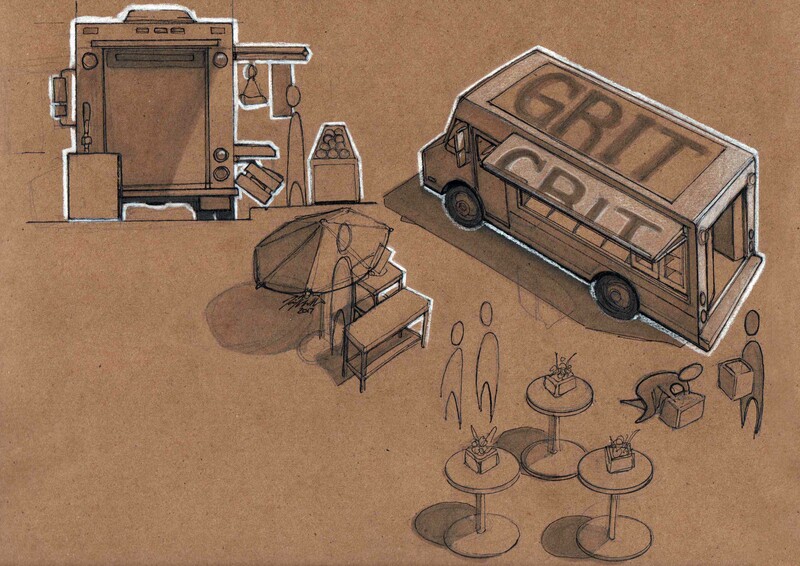 The best way to think of Grit Grocery is this: meal solutions meet a fleet of food trucks. We're selling a distilled, local, and unprocessed type of grocery offering along with meal bundles and recipes all out of a food truck. Where did the idea for Grit Grocery come from? When I lived overseas in a developing country with the Peace Corps, I experienced cooking from scratch and eating local, unprocessed food for the first time. This wasn’t because it was trendy, but because that was the infrastructure in that country. In a lot of countries, including some developed countries, people have a neighborhood corner store and food stand. They have a neighborhood bakery and a neighborhood butcher. 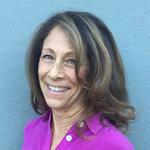 I've found that eating that way changed the way my body felt and functioned. Every other American that was there with me experiencing this type of food infrastructure felt great, lost weight, enjoyed cooking, and connecting with friends over food. When I came back to the U.S., I realized that our food infrastructure system went in a totally different direction. This has led to some of the problems and gaps that exist right now in the industry, as far as there being a lot of processed foods and the big box, inhumane environment that we call grocery shopping. 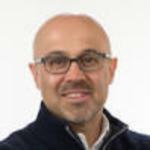 Who are your customers and why do they want what you have? 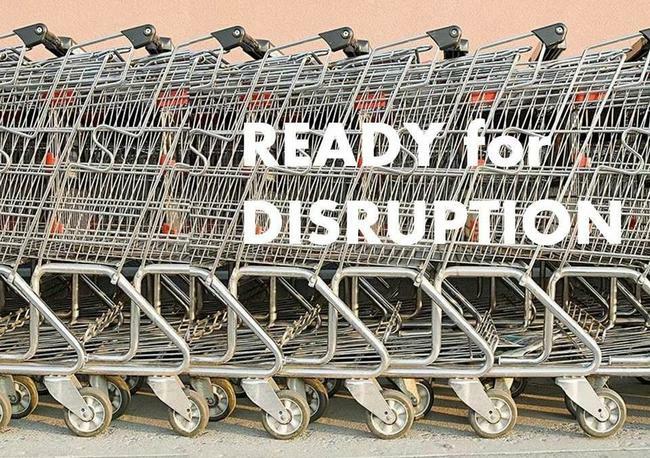 The conventional grocery store model is crumbling. It's not an exciting place to be. The size of the grocery store is too big. The experience is not very nice. You're pushing a giant cart through a fluorescent lit 50,000 square-foot building. It’s aisle after aisle of food that is not really food. A lot of these major packaged goods brands that control the center of the store are seeing declining results. What you have is a looming crisis in the grocery store world. I don't see Grit Grocery replacing that completely, but one of the things you’re starting to see is the rise of the meal kit, the Blue Apron type solution and the many others that are out there. We're somewhere in between those two spaces. The beauty of the meal kit solution is that I don't have to plan out the meal, but I get to cook it. It's delivered to my house, so there's a convenience factor. Everything's done for me. I don't have to go through that crazy experience of going to the grocery store and trying to find everything. The typical grocery store is more like a lumber yard than it is a place with a sense of what to eat for dinner. Kits are an appealing notion for many people, and so that's a growing market. But one of the problems is that it's kind of an anti-social construction. Having the mailman deliver your food is an odd thing. 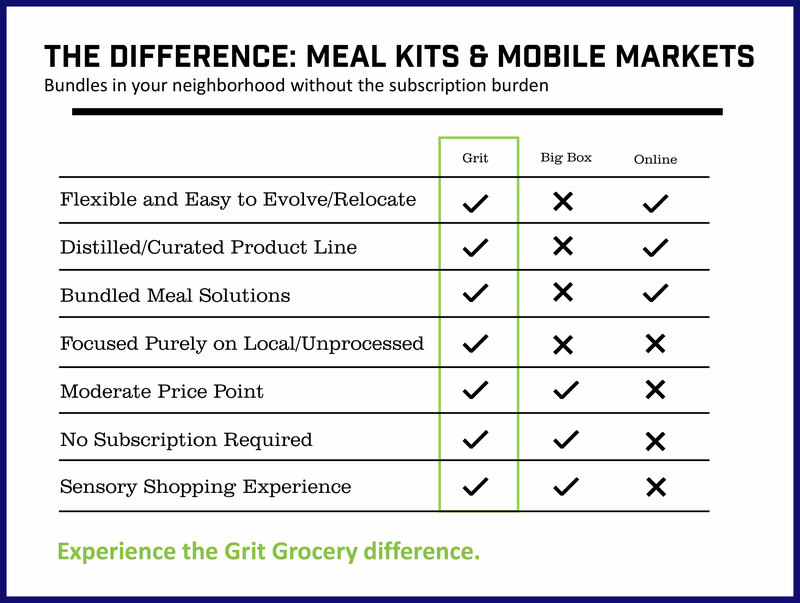 What we're offering that’s different from the meal kit is that you can show up at Grit Grocery, and you can talk to your merchant. This is the same merchant who's been at the farm that morning or talked to the local pasta makers that day. He or she could provide you with some ideas about what's for dinner. We can be adaptable and flexible in a way that Blue Apron cannot because once you've clicked and ordered Blue Apron, it's in the mail and on the way. You can't call and cancel at the last minute. There’s also that social aspect. You can be there on the street, among your neighbors, among friends and potential friends. 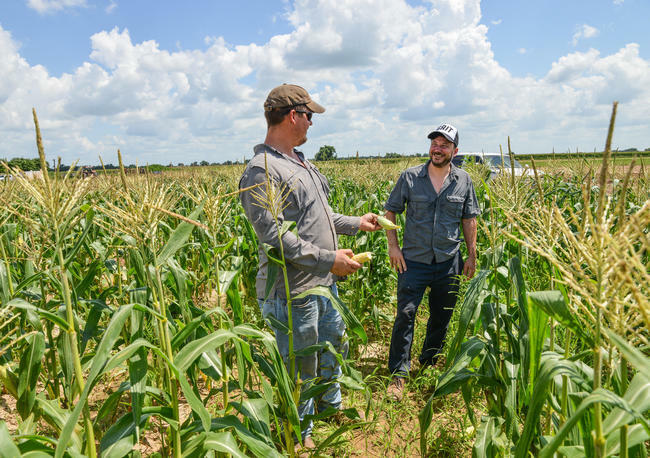 There's that community-building aspect, which is so crucial to food. A great meal can be about building relationships too. There are lots of dimensions we can offer that grocery stores have failed to provide for a long time. How have other mobile grocery markets in other cities performed? I'm not aware of this being done anywhere else in the country except ones that are structured as a nonprofit. They are usually only focused on food distribution or deliveries to low resource communities. It's usually one truck or maybe an old bus that they converted. It's a small footprint and very small scale. That's what’s unsustainable about that model. They are simply a distribution truck and not really a grocery market. Most don't have a full offering either. They may do fruits and vegetables or something like that. 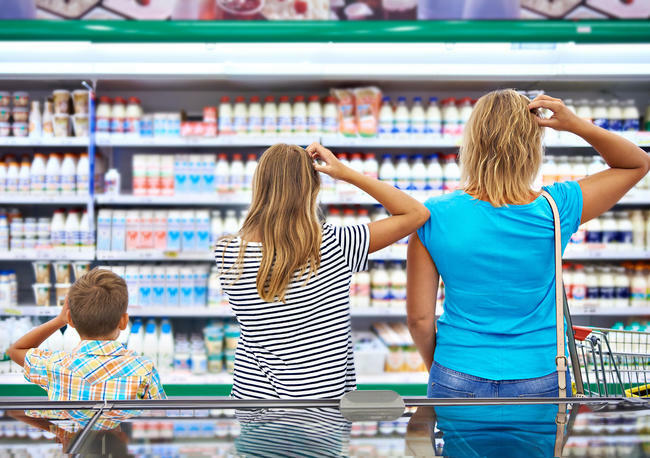 We’ve found in our tests that the closer we got to a full grocery offering, meaning we have the majority of products that you would find at a grocery store, is when we've started to get traction. We’ve also found during tests that one truck is not enough. You can't get your costs to where they need to be when you’re buying for one truck. When you’re trying to serve food deserts, low-resource communities where there's not already a market, showing up with food and saying, "I'm here!" is not the solution. 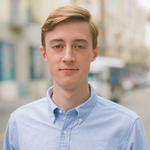 Although Grit Grocery will serve that market and be a real solution, it's only going to work when it's combined with a real understanding of the communities needs, efforts to build relationships and establish credibility, as well as adapting the product offering to meet local preferences. We plan to have trucks or locations in both types of markets. One trend that does seem to work is the miniature grocery store, sort of like the corner store model. It's similar but not exactly what we're trying to do. We're offering a more curated selection. We're providing a lot of value to customers by distilling the normal grocery offering. One of the big problems with the grocery store today is that there's too much to choose from. There's too many products and too much variety. We're not going to replace that large grocery store, because we're going to be a lot more focused. 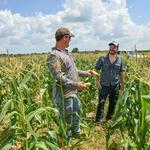 We have a specific set of principles around our food philosophy and the kind of food we want to provide. We're also very focused on being a meal solution. We want to find more ways to communicate to young professionals, couples, and families. At 4:30 p.m., they're at work and thinking, "What's for dinner?" Statistics show that a majority of these people do not know what they’re having for dinner tonight. They need to find a solution quickly. We want to find more outreach through social media or the website. We are starting a number of different plans and are finding ways to start communicating with those lost meal planners. We want to get them to the truck where we can continue the conversation. That’s so we can get them the meal they want and one that's going to be healthy, simple, interesting, social, and will keep them coming back. What are you offering that’s different than the corner store model or a pared-down version of a Whole Foods? Using local as a qualifier is going to be one priority. Within that curation process, using the meal bundles will be an important distinction as well. That’s something even Whole Foods has not yet figured out. The meal bundle could be a driver for figuring out what we put on a truck. We can also use seasonal product offerings to curate what's on there. By using a local supply chain, we won't be limited by the shelf-life issue because we are picking up products in the morning and selling them in the afternoon. We can use taste as a driver. The more you curate it, the smaller the system, because we're really on the extreme end of the spectrum. You don't have room to fill everything up. You have to choose. It takes some decisions as far as what tastes the best. What is the best cucumber? What is the best peanut butter in the natural, unprocessed category? The Germans are figuring it out because they're doing small stores. They're still not in neighborhoods, but they're not as centralized as the traditional grocery market. 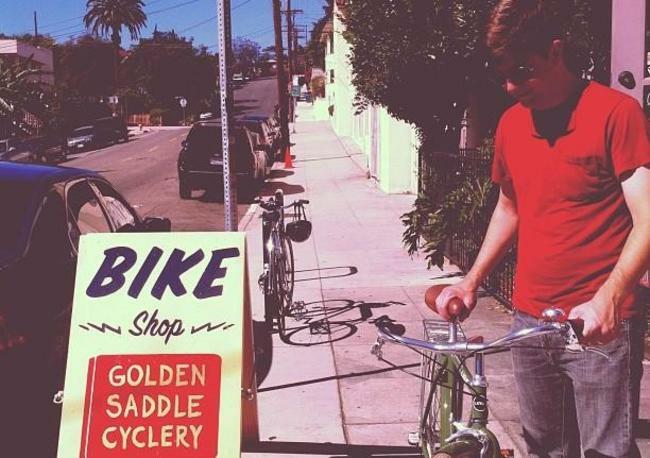 We're going all the way in and saying that we're going to be within walking or biking distance from your home. Removing real estate from the cost equation makes that realistic. 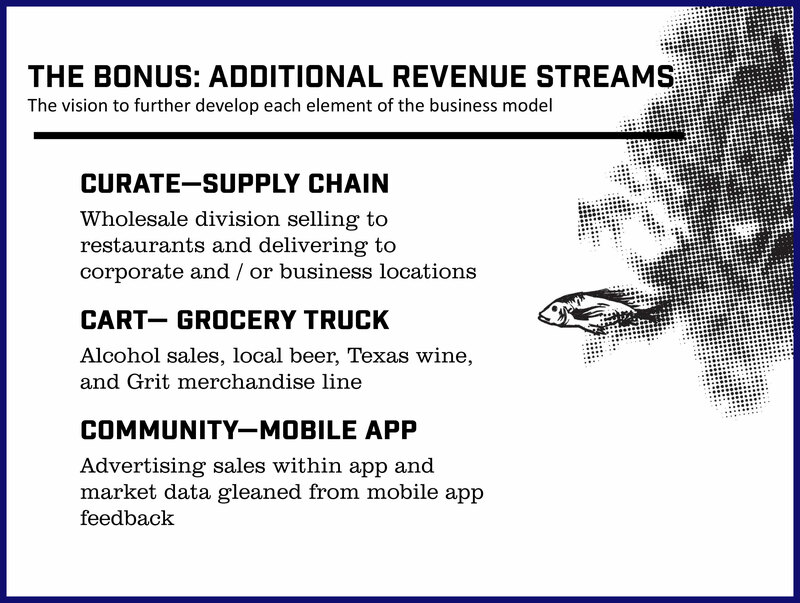 Another thing we're doing is building on the social currency of the food truck. There's a certain hip factor and desirability to eating at a food truck that we can leverage. Even the smaller versions of Whole Foods can't reach that. We've got something there that is very exciting for customers. Why are you different than the local farmers market? Because Grit Grocery is in an open air, outdoor shopping experience, a lot of people associate us with shopping at a farmers market. In all of Houston there are maybe six farmers markets. That’s for six million people. Grit Grocery is complementary to that. It's not really competitive. In fact, we also sell farmers market products. We're another channel for them. What’s the history of Grit Grocery? We formed the business in the summer of 2015. Around that time, we bought one used truck, and had no marketing or branding. We cut a hole in the side of it, ordered a window, afixed a wooden shelf. We bought fruits and vegetables and sold seafood out of Igloo coolers. We were just testing the concept. Would someone buy grocery items from a truck? We did that for about two months. We sold at a number of different locations and some commercial sites like Crossfit and yoga studios. We sold at apartment complexes, tested different locations, and collected feedback. It was a very stripped down model, but we found out that people are interested in this and that the format was not a failure. In fact, people were drawn to it as something different and experiential. Then we raised money through an SBA loan to finish building out the truck, install some electrical and a generator, paint it and buy a few coolers, and expand the product offering. We built out the truck and then relaunched the test last summer for about six months. We have one truck in four different neighborhoods, one night a week in each neighborhood. We introduced the meal bundle at that point and then started experimenting with it. Should we have one meal bundle a week? Should we have a menu of meal bundles that people can select from? We tested different products. Now we’ve gotten to a point where we can say the concept interests people, it's got legs. We just need more trucks and more scale. What lessons have you learned that you can apply as you expand? One of the key lessons is that we know we need more volume to get our costs down. We have learned that meal bundles work. We have learned that open-air shopping appeals to a lot of people. We have learned that commercial sales locations are not as good as residential ones. When we tested at gyms and yoga studios, filled with people interested in healthy lifestyles, we found that there wasn't the same interest or accountability that we found when we were selling at residential locations. In neighborhoods we were an extension of their walls. In the residential settings, people would hang out more. They'd be walking their dogs or drinking a beer on the stoop. There was a lot more accountability and a lot more interest. We just found it fits a lot better when it's attached to an actual residential neighborhood. We also learned that a lot of things we were doing worked well. We learned about the setup and the take down and all of the operational challenges. There were a lot of hard lessons learned through building a supply chain of local producers. First, we learned that it didn’t already exist. You can't call up a local and unprocessed wholesaler to get what is needed for this type of offering. I can call a food distributor to get a conventional grocery offering, but for a local and unprocessed focus, there's no one to call. You have to go to the farms directly, and then go to the bakeries, and then go to all the small food producers to build out the supply chain. That's what's going to give us a competitive advantage, having the supply chain we can leverage in a lot of different ways once we build it out. We are measuring revenues for sure, but what we are watching the closest is the daily average transaction price. Industry-wide, the average transaction is around $37. When we started, our average transaction was around $14. At the end of six months, we got the average transaction up to around $22. Several time we reached $30 or more. This metric is directly related to the variety of goods we have on the truck. Of course it depends on the number of people and what they spend, but in general if the same people came, we could increase our average transaction pretty easily without increasing customers by having the right product offerings and the right meal bundles at the right price point. With that average transaction combined with the number of people we know we could get the revenue that we ultimately need every day. We think we can achieve that with every truck in every location going forward. 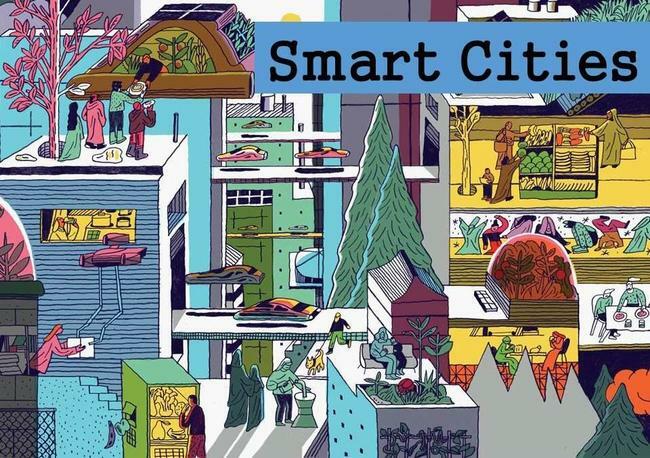 How do you pick what neighborhoods to enter? We obviously need some density with either lots of people or a lot of foot traffic. We ran tests at a lot of mid-rise apartment complexes with 200 to 300 units surrounded by townhomes or single-family homes. 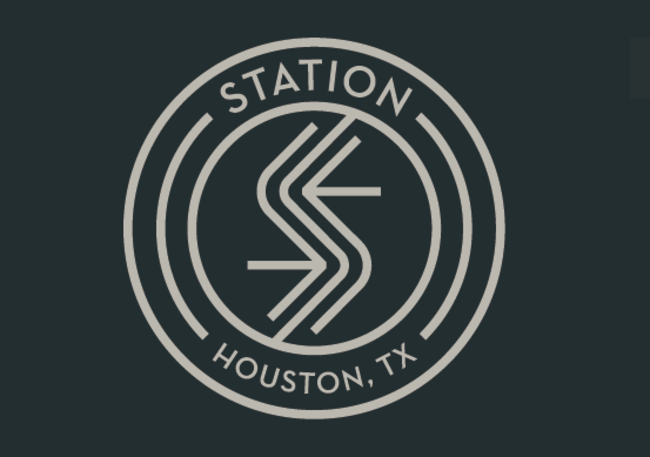 In Houston, there's some low-hanging fruit in that the city is growing rapidly and grocery infrastructure hasn't caught up. There are areas like downtown and east downtown that are food deserts but where the demographics are high resource. That's where we started. We knew we wanted to be in town. We want to have some density, we want young professionals and people starting families. Empty nesters are another good demographic. We worked with Rice University GIS and did a heat map to find out where people are buying natural and organic groceries. Then we did an algorithm to predict where we should go. Ultimately, what we learned is that with this model there's instant feedback, so we can test a location for two or three nights with limited investment and immediately know if it's going to work or not. If it doesn't work, then we just move to a new location. 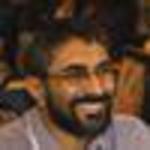 What's your implementation strategy and timeline for ramping up? The limitation will be how quickly we can get stuff built. It took us a couple of months to build one truck. There's no company that can build me a grocery truck today, so there will be a learning curve there. It may take one company a month to make two or three trucks. It also takes time to bring a new community onboard with a new truck. We estimate 10 trucks will come out over the course of six months to a year, depending on how much money we raise and how quickly we can get them built. Profit margins for a conventional grocery are around 1% to 2%. For natural and organic stores, it is around 6%. In general, margins are low mainly because of the "shrink" aspect of grocery. The difference is that by distilling the number of skews and using the meal bundle to drive products, and a few other innovations, we think we can close with margins of between 8% and 10%. Those are more aligned with some of the small groceries out there right now. It's all about how you deal with cost and shrink. What potential problems worry you the most? 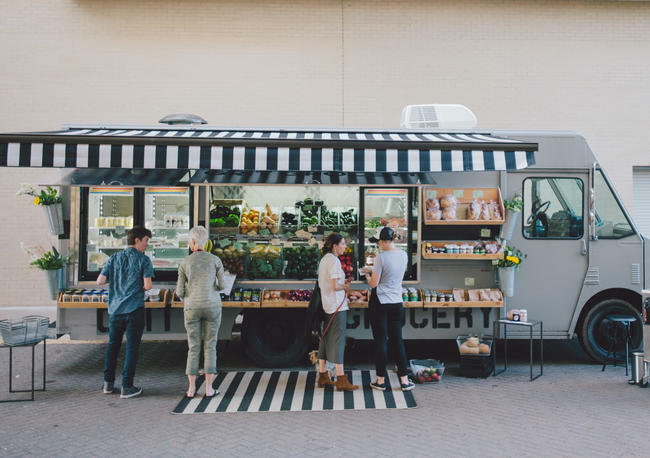 Food truck permitting is City/County specific, so as the business expands and we begin to serve other major cities, the permitting requirements will be a challenge. The way mobile food is viewed in general is a changing landscape. There are also weather challenges. We have a truck design that is all about the outdoor shopping experience. But because of the flexibility in this model, we'll be able to test and change the product offering, the truck itself, the price point, and the locations. It will make it much easier to mitigate risks and make changes as we encounter obstacles. How much money are you trying to raise and how do you plan to spend the money to grow the business? We're raising 550,000. This will get us ten trucks, some working capital, and money to develop a mobile app or chat bot. The mobile app will allow us to easily communicate truck locations. When we have one truck, it's not as big a deal. But when you have ten trucks, it's more important to be able to communicate with people on the fly. Although we're in the same locations consistently, sometimes there's inclement weather or maybe a truck broke down or we’re running late. Also, it’s good to make it possible for people to pre-order meal bundles before they come by the truck.The third piece of the mobile app would make it easier to cook a meal together in your home with friends. If you're hosting a meal at home, one of the challenges is finding out what you're going to cook. The meal bundle solves that problem with a recipe, but the app will facilitate splitting up responsibilities of who does what so that all of the burden isn’t on the host. People will get a chance to interact and participate in the cooking experience. This piece of the app can be rolled out in other areas and help us achieve scale going forward when we're moving into a new market. Dustin’s experience comes from a sales and marketing background. 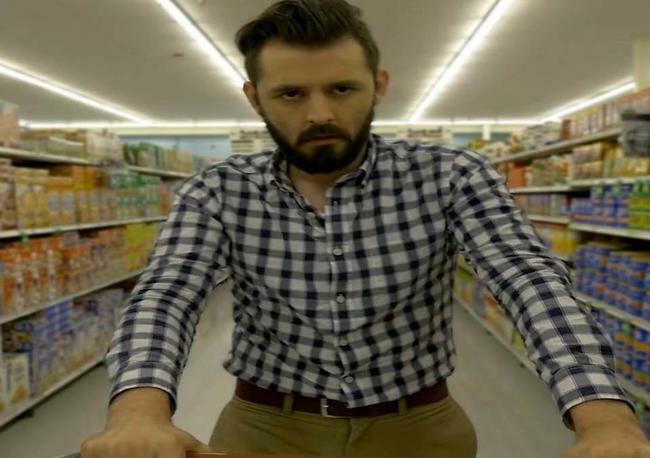 His focus during his MBA program at Rice University was on supply chain, and figuring out the supply chain is really what defines success for Grit Grocery. Dustin went through the Peace Corps and experienced food in a different way. That brings the passion component that is needed to succeed in this setting. Michael has a PhD from Rice. He looks at food from a cultural anthropologist's perspective. He’s studied how people make decisions about food and interact with food. 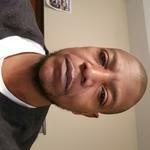 He brings different insight and perspective because he's worked in grocery. He brings a lot of value when it comes to branding and design. Jamal is our quantitative guy. He's all about the spreadsheets and the numbers. He has an MBA and a background in trading. He's going to bring a lot of value when it comes to the predictive analytics. One example would be to build a predictive algorithm to estimate sales at each location and better manage inventory. Kelly contributes to the community development piece. She has a background in education and community development. She will work with local service organizations and city officials, so that when we move into neighborhoods, we can make sure local stakeholders have buy in. What is the long-term goal? Long term is where the licensing piece comes in. We're going to add trucks, and we're going to add cities, but what will give us this steep curve is licensing these processes. It's not about the truck. It's about being able to access this type of food in a different way that makes sense and meets the customers’ needs for convenience and quality. 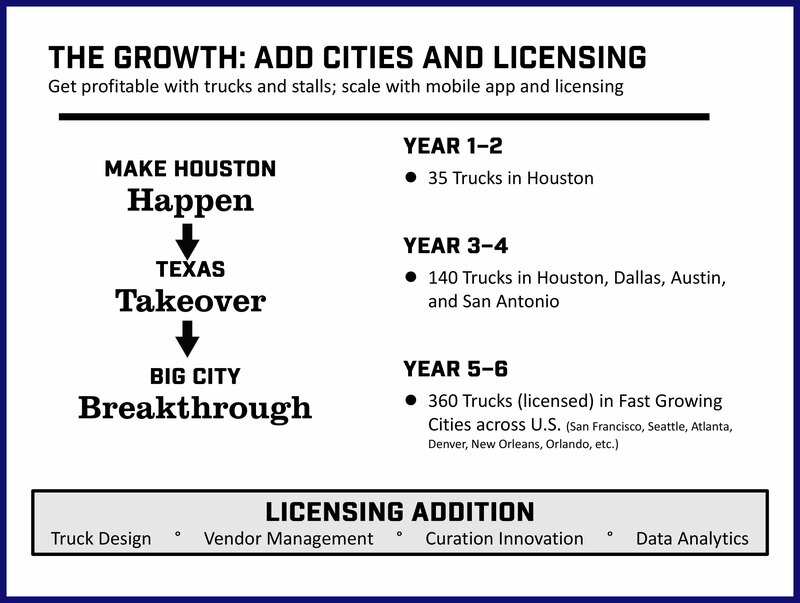 As we move into other cities we will be talking more about license agreements and not just buying more trucks. What is your cash on hand and burn rate? As of 06/19/17, we have $3,497 cash on hand, our monthly burn rate is $1,100, expected runway of 3 months before needing more funding. Our cash in hand is $41,326, as of April 2018. Over the three months prior, revenues averaged $0/month, cost of goods sold has averaged $0/month, and operational expenses have averaged $1,500/month. Healthy is HARD. Grit’s mobile markets make eating healthy easy and fun, by sourcing fresh food from local farmers and producers, bundling healthy meal solutions and offering it on the block, in your neighborhood. Imagine a farmers market and Blue Apron meet on a food truck. Grit is much more than a grocery store; we're rethinking the way food gets from the farm to the customer’s table and using AI bots and predictive analytics to reduce cost, minimize shrink, and curate a custom offering. 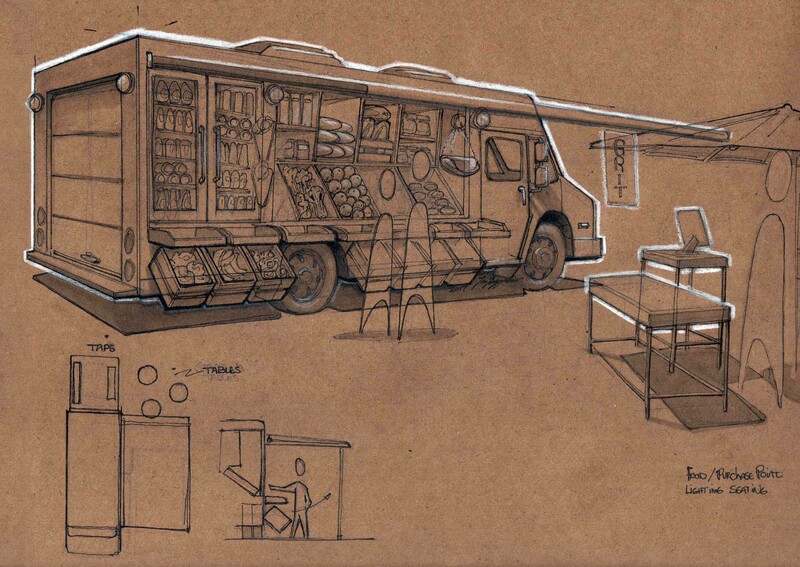 To assemble a fleet of mobile Grit Grocery markets that make eating healthy easier for people across the US. Grocery shopping outside the US looks very different - neighborhood bakers and butchers across the street from fruit stands and flower shops. Small, street-side markets that help communities build stronger bonds and reconnect with their food. We want to bring that experience to you. Within the next five years, we plan to license our model and have fleets in 10+ Sun Belt cities. Grit Grocery, LLC was incorporated in the State of Texas in June 2015. Our company was organized in June 2015 and has limited operations upon which prospective investors may base an evaluation of its performance. Revenues & Gross Margin. For the period ended December 31, 2017, the Company had revenues of $1,287 compared to the year ended December 31, 2016, when the Company had revenues of $49,202. Our gross margin was -475.37% in fiscal year 2017, compared to -27.47% in 2016. Assets. As of December 31, 2017, the Company had total assets of $20,840, including $211 in cash. As of December 31, 2016, the Company had $23,271 in total assets, including $415 in cash. Net Loss. The Company has had net losses of $47,432 and net losses of $69,692 for the fiscal years ended December 31, 2017 and December 31, 2016, respectively. Liabilities. The Company's liabilities totaled $58,227 for the fiscal year ended December 31, 2017 and $63,305 for the fiscal year ended December 31, 2016. Grit Grocery, LLC cash in hand is $41,326, as of April 2018. Over the last three months, revenues have averaged $0/month, cost of goods sold has averaged $0/month, and operational expenses have averaged $1,500/month, for an average burn rate of $1,500 per month. Our intent is to be profitable in 0 months. Limited operations in 2017 during fundraising campaign, we are starting operations again in May 2018. Government Regulations: Grit Grocery is currently permitted by the City of Houston’s Mobile Food Unit Division. As such, future regulation changes could affect the communities in which we are allowed to serve. The same is true for the packaging and handling of products. 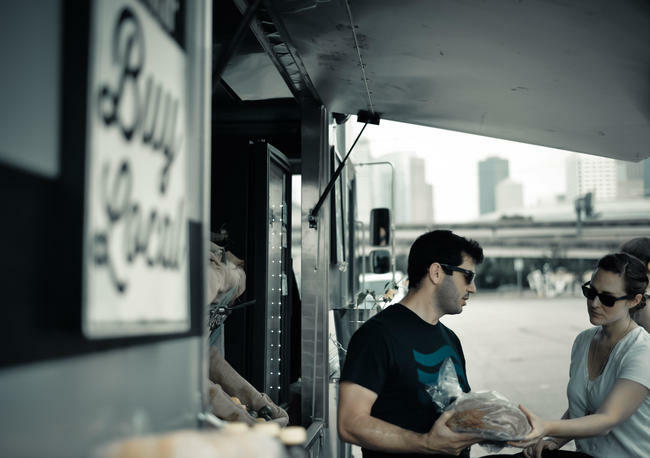 Food Truck permitting is City/County specific, so as the business expands and begin to serve other major cities, the permitting requirements will change. Health of the Economy: The strength of the grocery industry depends heavily on per capita disposable income. Therefore, if the economy weakens, customers will be more willing to forgo the benefit of higher priced healthy/fresh food options. Weather: Changes in weather affect most retail business, but especially the mobile food industry. An unforeseeable weather phenomenon (flooding, freezing, hurricanes, etc.) will negatively impact sales. Security: A street/open air sales model removes real estate costs but also increases the chances of theft/vandalism. Our trucks will often only be operated by 1 or 2 people and the open air aspect will make it easier to access our products and register. Therefore, keeping both our employees and products safe & secure will be more challenging than in a conventional brick and mortar setting. Food Safety: Most Grit goods contain zero preservatives, which equates to a highly perishable product line (1-5 days). Highly perishable goods, if handled improperly, can lead to a variety of health risks. The care with which our products move through the supply chain will play a critical role in minimizing and mitigating risk to both consumer and purveyor. Supplier Performance: Product quality and consistency is critical to success. Most of our producers/suppliers will be small, regional/fragmented producers that have limited staff and resources. This type of operation often brings with it quality control challenges that we will have to shoulder in order to maintain quality and consistency. 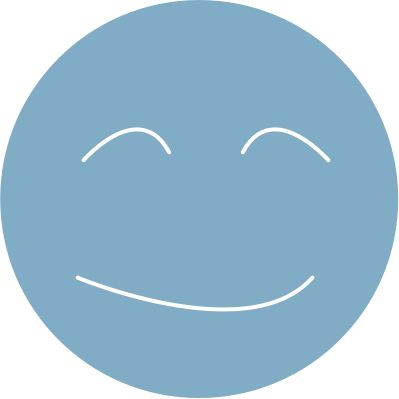 Data Protection: Every transaction will bring with it data and customer information that is both valuable and highly sensitive. It is imperative that we maintain the highest standard of data security and protection in order to safeguard both our customers and our brand’s reputation. I am Sarah Brown an passionate blogger and content writer. 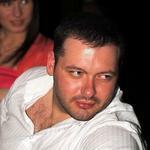 Now I am working as a content writing manager at casinoenlineahex.com. Trader, Strategist, Quant, serial entrepreneur with a passion for disrupting anywhere I go. Founder of Grit Grocery, MBA from Rice University, background in sales, marketing, and supply chain. RPCV Azerbaijan 2010-2012. Love these guys! Everything is fresh and labeled so you know where it's from or if it's conventionally farmed. ...Grit's fresh ingredients inspired me to get back in the kitchen. I'm Lei Zarboulas. I had the similar idea in the past. So I hope Grit can make it! It's a token, really and I wish had more liquidity just now but some things came up. When y'all are bigshots I can toss in more I hope. I think this is terrific and know y'all are smart and good folks. Best and shout to Michael. 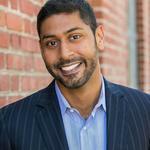 I'm a health economist doing research in health policy at Rice University's Baker Institute. 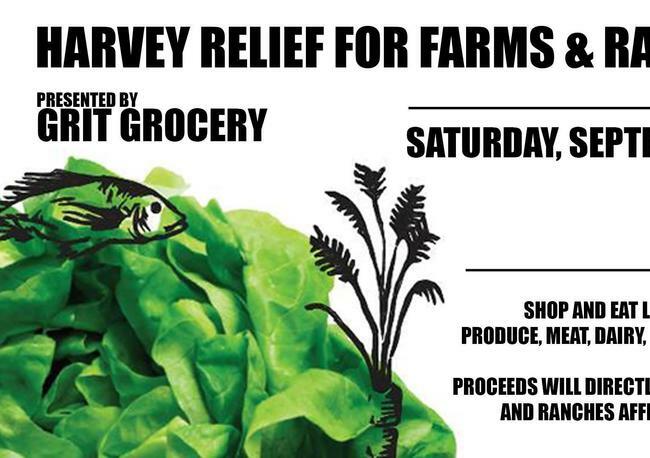 Your efforts to bring fresh produce to neighborhoods who need it is fantastic. All the best to you! Hi! Let me know if you have plans to come to LA and need any help with cities, etc. Uğurlar Dostşlar. I wish there was a Grit Grocery in my town! Keep up the great work! 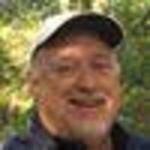 I am Paul Osmulski, an investor in stock market. 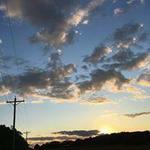 I live in Colts Neck, New Jersey. From fellow Grocer to Grocer - best of luck and looking forward to following your journey. Houston's not eating that well. Can a new mobile grocery help? Dustin Windham's at the grill on the roof of Houston House apartments, watching Gulf Coast shrimp turn perfectly pink. It's Wednesday night. As he cooks, his broad-shouldered silhouette framed against the lights of downtown high-rises, a table of guests, most meeting for the first time, share stories about Harvey. When studying the sociological phenomena of consumerism in the western world, the theories of buyer's remorse and the paradox of choice often surface. Too much influence, too steep of a price, or too many brands, sizes, and colors offered of an item can make decision making a headache and diminish the satisfaction of the buyer. 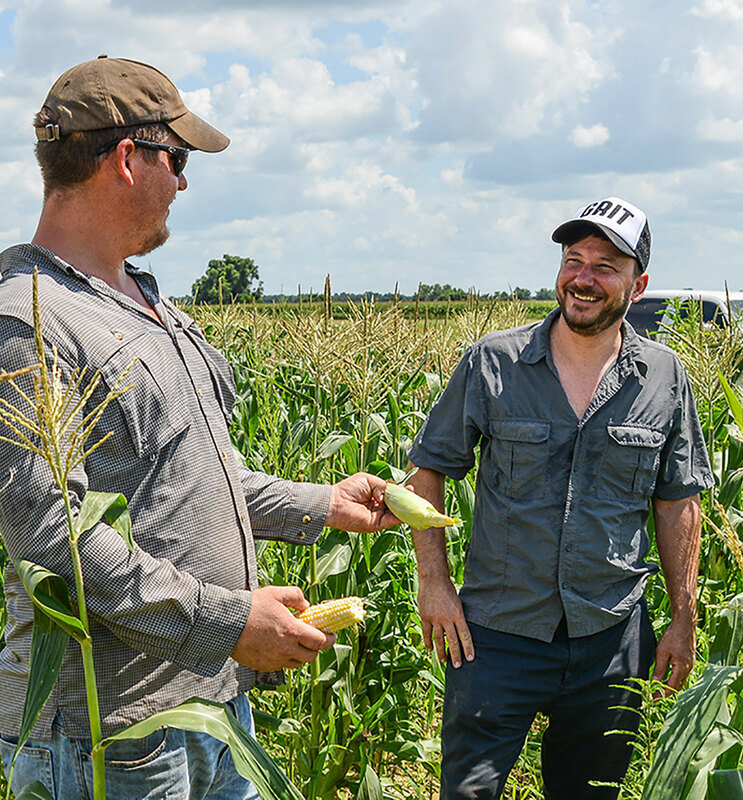 Dustin Windham of Grit Grocery knows that eating healthy is hard, so he wants to help - by bringing fresh produce right to customers' doorsteps. 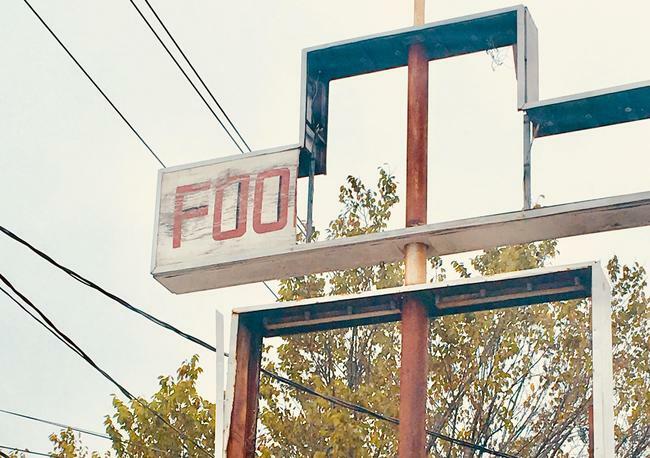 To streamline the process and eliminate waste from the supply chain, he and his team are implementing an old-school model with a tech twist. Houston-based mobile grocer Grit Grocery's equity crowdfunding campaign went live on Wefunder just before Hurricane Harvey. As one may expect, the campaign has been at at standstill as the city cleans up after the wrath of Harvey. 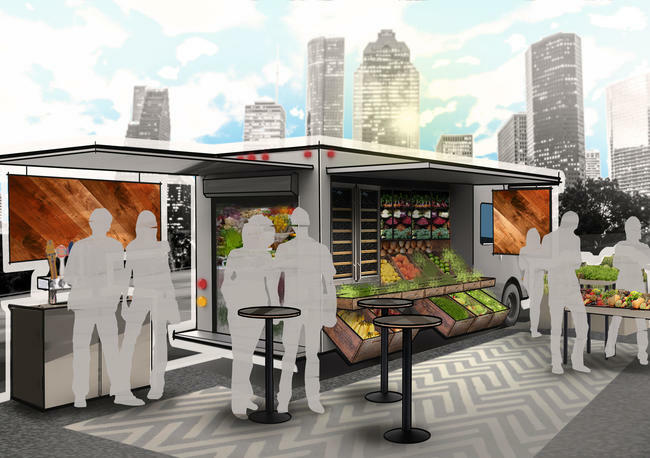 Funding will be used to assemble a fleet of mobile Grit Grocery markets that will make eating healthy easier for people across the Houston area. 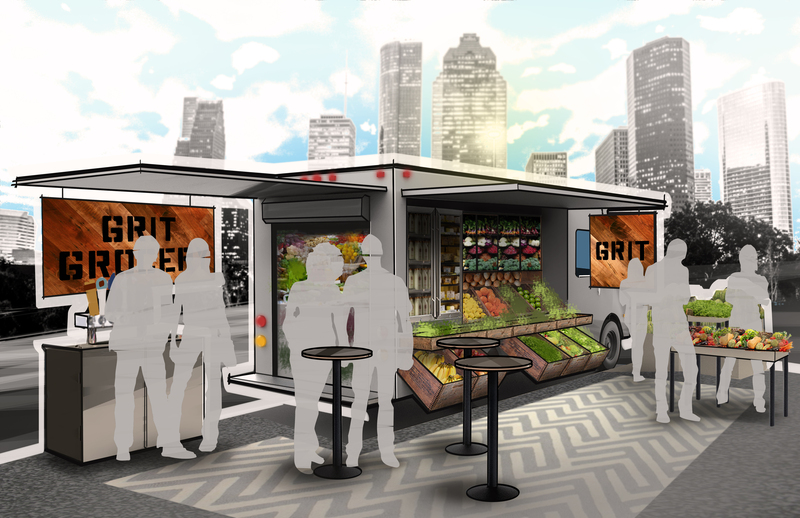 Houston-based mobile grocer Grit Grocery has tapped into the Wefunder crowd for funds needed to assemble a fleet of mobile Grit Grocery markets that will make eating healthy easier for people across the US. 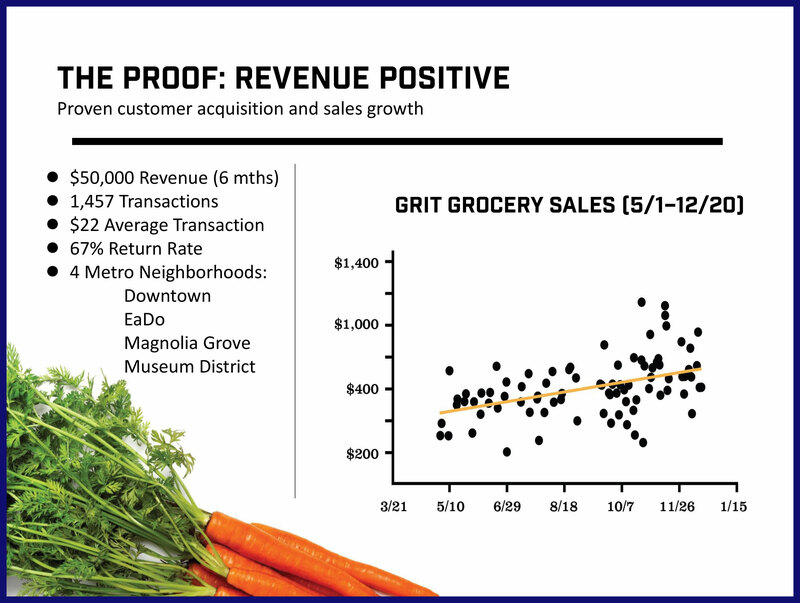 Seeking to raise a minimum of $150K toward a $1M goal, $5M valued Grit Grocery has secured over $33,890 from more than 30 investors since its recent launch. 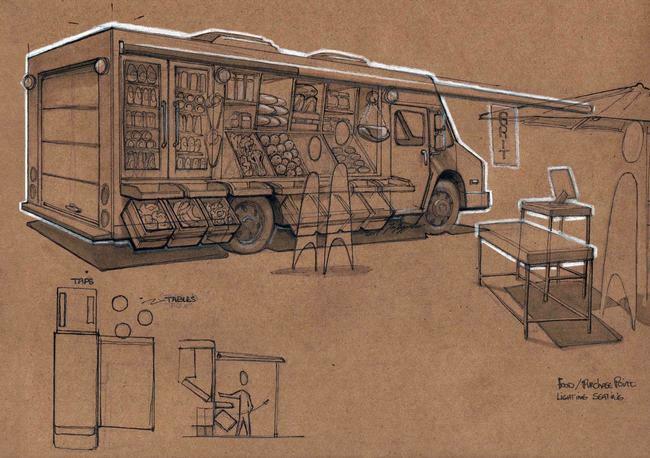 Grit Grocery is a farmers market on wheels. 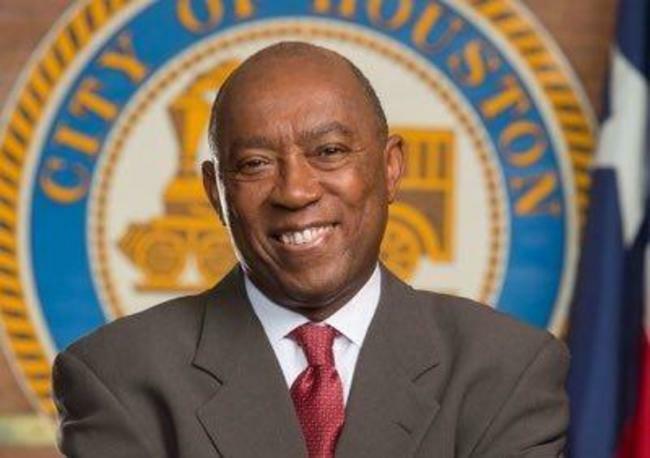 The city of Houston has long been grappling with how to address its food desert problem. A food desert is an area that's not adequately served by fresh groceries. 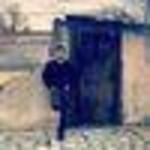 One man is trying to make a difference - with a new concept. Dustin Windham ('15) lived in Azerbaijan during his time in the U.S. Peace Corps and ate unprocessed and cooked-from-scratch food. It changed the way his body functioned and felt. 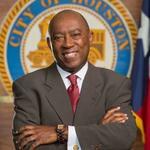 And it inspired him to provide Houstonians with the same experience. His startup, Grit Grocery, was born in the business school while Dustin was an MBA for Professionals student. 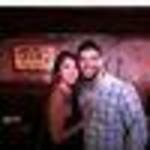 Thanks for vouching for Michael! If you'd like to invest in Michael, please open an account. We'll waive your fees if you do it now. We asked Michael for 10 personal references. Can you vouch for Michael?